Get Dallas Forklift Training and Certification! Dallas takes pride in having one of the most progressive economies in the state of Texas, and it’s a great place to look for work if you have forklift training. Dallas is home to businesses that make up some of the most prestigious Fortune 500 companies in the nation – including some of the nation’s most successful and notable manufacturing companies. With its strong industrial and financial sector, it’s safe to say Dallas has a very stable job market for jobseekers of different trades – particularly those with forklift training and forklift certification in Dallas who have attended a forklift school. Working as a forklift driver in Dallas, Texas is a lucrative profession for those with the proper forklift certification. Dallas area forklifts are used in daily operations in any warehouse or industrial environment. Many job opportunities are now available to forklift operators in the Dallas metro area. And with much more affordable cost of living and lower taxes than most states, working in Dallas as a forklift driver puts more money in your pocket at the end of the day! But before you start thinking about forklift jobs in Dallas, there’s something you should know: to operate a powered industrial truck in Big D, you first need forklift certification in Dallas, TX. Employers need the best-trained forklift operators to move & manage cargo, control inventory, and make their operations run smoothly. With forklift training in Dallas, TX, from CertifyMe.net, you’re better prepared to avoid accidents and promote a positive, safety-first attitude on the job. That’s what Dallas-area employers love! CertifyMe.net has Dallas forklift certification classes for anyone and everyone. If you’re looking to sharpen your skills or acquire safety training, you’ve come to the right place. Plus, we help beginning forklift operators learn about important OSHA safety guidelines. It’s all included with our forklift certification in Dallas. How Can Dallas Forklift Certification Benefit Me? Protect Your Safety – Dallas forklift certification was primarily designed to keep workers safe and reduce the number of accidents that occur on worksites every year. And in fact, according to OSHA, there are about 85 fatalities that happen every year due to forklifts. You can cut your chances of injury drastically by completing Dallas forklift training. Once you have your forklift certification in Dallas, TX, you’ll become a safer, more responsible forklift driver. Improve Your City – There are plenty of reasons to be proud of Dallas, and if you care about keeping it a safe, thriving city, you can do your part to protect it by becoming a certified forklift operator. Forklifts are used in a number of settings, including construction sites, warehouses, retail centers, and large companies. Forklifts are a big part of Dallas’ infrastructure. To make your own unique contributions, sign up for forklift training in Dallas, TX today. Qualify for a Promotion – Forklift certification is the best way operators can qualify for higher paying jobs and/or promotions with their current employer. Forklift training is so appealing to employers because it increases a worker’s productivity and reduces the risk of fines from OSHA. There are plenty of reasons to receive your forklift training in Dallas. Safety is number one, but certification can also help improve your overall quality of life. If you’re interested in learning more about how Dallas forklift certification can land you a better job, keep reading. Leslie’s Poolmart, Inc. – the world leader in residential and commercial pool supplies can be found along Westmoreland Road, and will accept applications in person for those with the proper forklift certification. Dallas is home to many other manufacturing plants – you can also try distributor and bottler companies like the Dr Pepper-Snapple Group. With popular products like Dr Pepper, 7UP, Mott’s, Snapple and Canada Dry, the company has a lucrative past and future and is a great place to work for those with forklift training. Dallas-based Dr. Pepper has a rich history in Texas, and forklift drivers have become an important part of their daily warehouse operations. To inquire or apply visit their website. Other companies that may be situated near Dallas are: Scholastic Book Fairs Warehouse, found along Watson Road, in Arlington and AAA Cooper Transportation Inc, found near Trinity Blvd, in Grand Prairie. If you are considering forklift employment the next step should be getting yourself a forklift certification by attending forklift classes. Why? Because many companies that utilize forklifts give hiring priorities to operators with proper training who have obtained forklift training. Dallas area employers are looking to make sure you’re certified. Certified drivers have an edge since the trainings are designed to equip the driver with precautionary measures to avoid common occupational hazards and injuries during operating a forklift. Also, it’s important to note that this training is required by law before a person handles a forklift. Well-established companies with international affiliation are stricter in their hiring and most require forklift drivers with certification and forklift training. Dallas job hunters provide heavy competition, so getting certified is important. If you have the proper forklift certification in Dallas, consult Nestle Waters North America, found at 1322 Crestside Dr, Coppell, TX. You also might want to take a look at the Coca Cola Company. Lastly, FedEx Freight, Inc- found at 1501 N Walton Walker Blvd, Dallas, Tx 75211, is accepting applications from drivers with forklift training in Dallas. Dallas always enjoys a strong economy, and the city has a competitive job market. 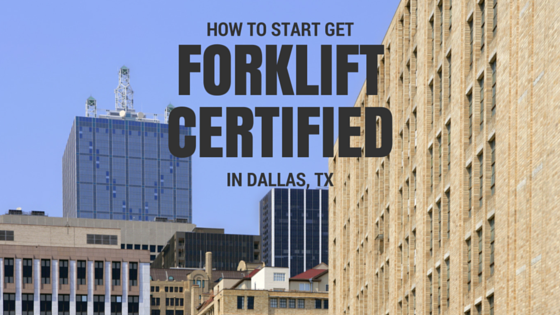 To help yourself stand out from the competition, forklift certification in Dallas is important. Once you have your training, all Dallas-area employers can’t help but take your job prospects seriously. Invest in yourself – invest in CertifyMe.net training today! Getting yourself certified is one way of wisely investing in your professional future. Learn more by visiting Certifyme.net for details and get on the right track with forklift certification. Dallas employers are waiting – don’t miss out on these lucrative job openings – Get certified now! Learn how to get forklift training! Need forklift training in Dallas, TX? Sign up today with CertifyMe.net! It’s a wise investment in your future – and it’ll make your entire workplace safer right away. Interested in forklift training in other nearby cities? Learn about Texas Forklift certification. CertifyMe.net training is valid throughout the Lone Star State – and all across the country. 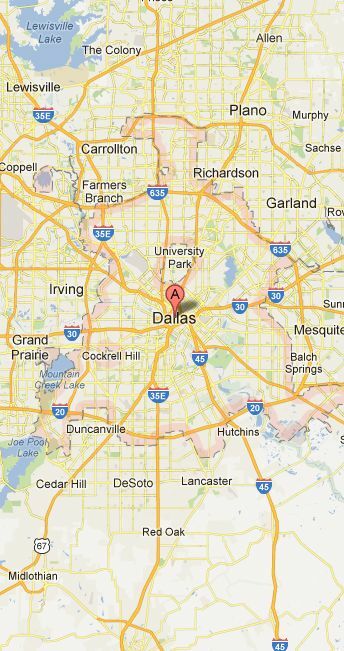 So once you have your forklift certification in Dallas, you’re good to go anywhere. The portability of CertifyMe.net training packages offers a big advantage, in terms of job variety and availability. Dallas forklift certification with CertifyMe.net has finally made it easy and affordable for workers to receive the high-quality, OSHA compliant forklift training they need to qualify for hundreds of Dallas jobs. The online program is designed to be completed in about one hour and offers students a few options to customize their training to their job requirements. Read this blog to learn about all the ways you can benefit from undergoing forklift certification. Once you read it, you’ll see why it pays to get Dallas forklift certification. CertifyMe.net has everything you need to get started – contact us today!